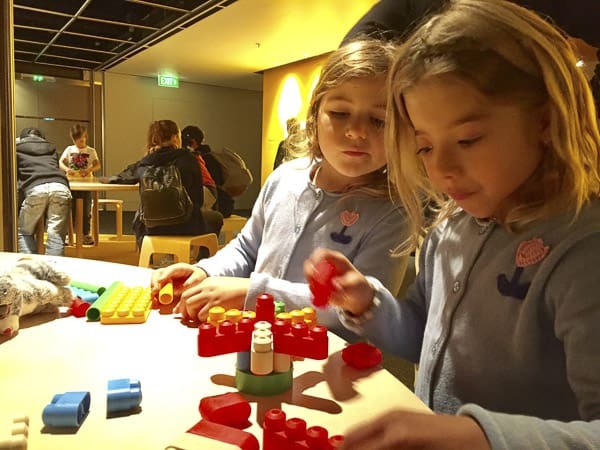 The Powerhouse Museum has become one of the most affordable attractions in Sydney for families that they are seeking educational but also interactive activities to do with their children. 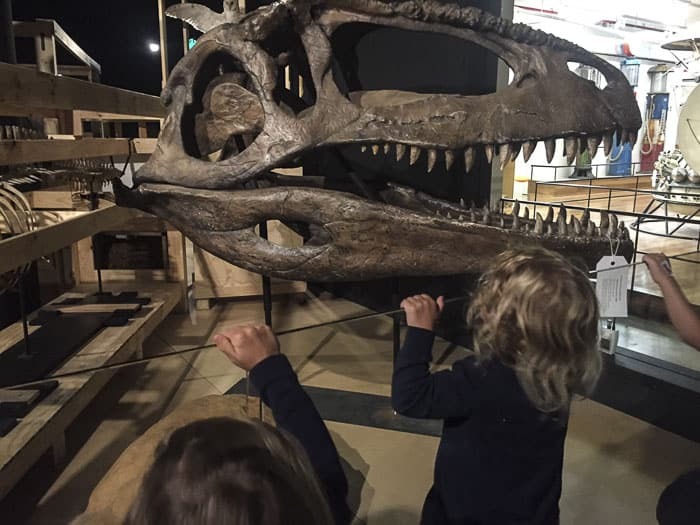 Here Mireia Garriga Seguranyes and her three girls explore the Powerhouse, plus the Museums Discovery Centre in Castle Hill. 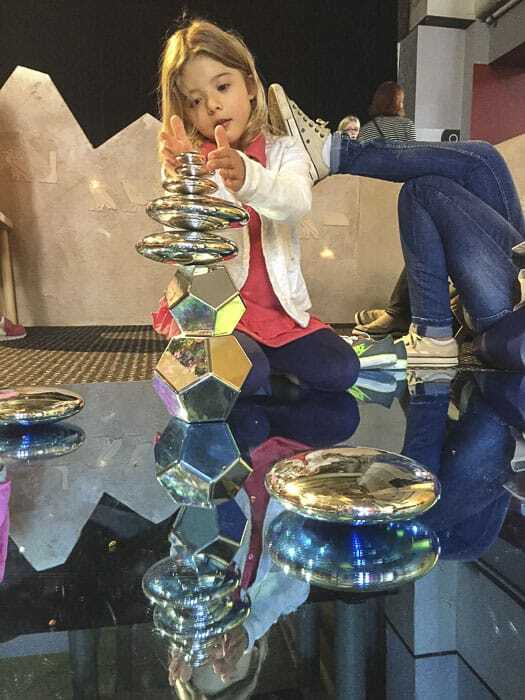 As most of our Hello Sydney Kids readers already know, the Powerhouse Museum is an extraordinary first point of contact for children to discover science, technology, industry, design, health and medicine, fashion and history treasures. 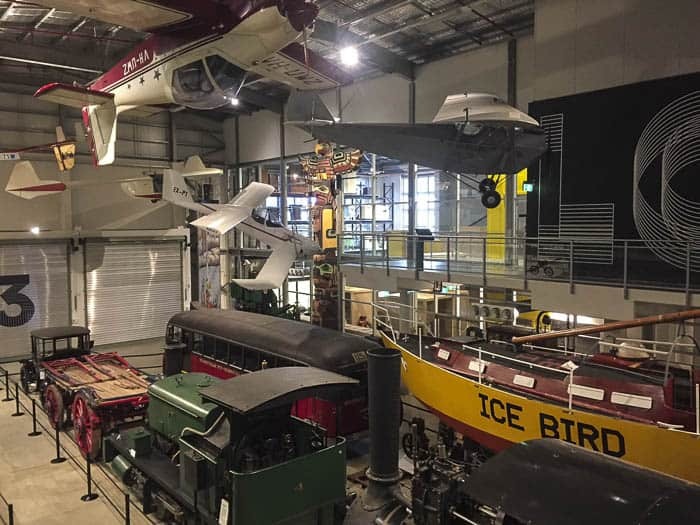 From my point of view, the success of the Powerhouse Museum is not just the quantity of exhibited objects (more than 500,000) but also the way that they are displayed. 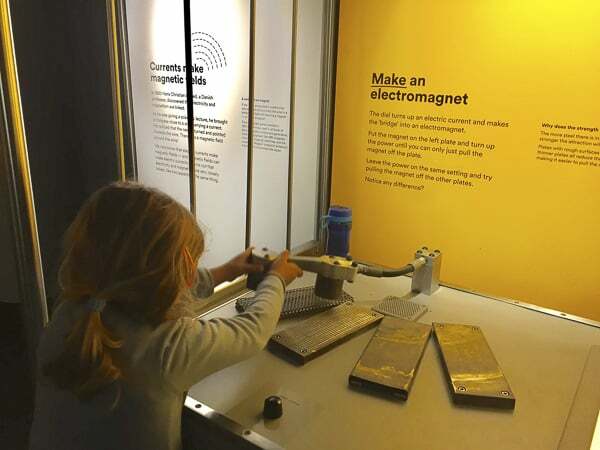 The Powerhouse Museum really encourages little minds and adults to discover permanent exhibitions in a creative and interactive way such as “ the Lab” and the recently updated “Experimentations”. Also, the Powerhouse Museum always has interesting temporal exhibitions such as the current “Recollect: Health & Medicine”. And – hooray – kids are free under the age of 16, thanks to the NSW Government. Permanent exhibition. Free for the children with the purchase of an adult ticket. 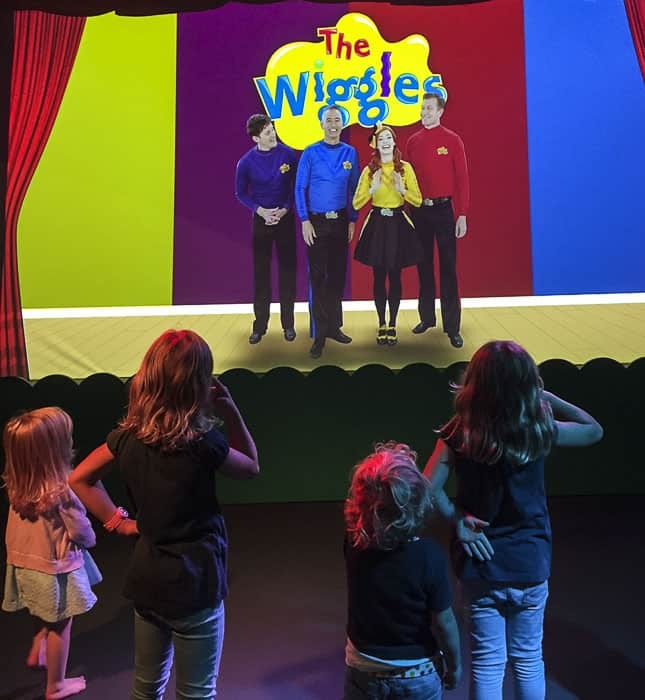 The Wiggles exhibit has reopened after being refreshed with new content including -of course- memorabilia from Emma and Lachy, the new Wiggles cast. Some great updates are the interactive “Big Red Car “ and “the Big Screen – Theatre” where children have room to dance. These were the favourites of my children, and I must confess, mine too. With the support of Transport of NSW, the “Big Red Car” incorporates a message on seatbelt safety featuring the new Wiggles’ song ‘Are you Buckled Up’. My daughters didn’t want to leave. They buckled up by themselves and watched the Wiggles singing and dancing the new song. (In real life, always remember to check if the seat belts have done the “click” and are not twisted). Now the “Big Screen-Theatre” shows songs with the new Wiggles cast. Active children cannot stop dancing with the Wiggles. With their catchy songs it’s easy to follow their moves. And the shy, get hypnotized in front of the screen. The Pirate Boat with Captain Featherword’s telescope. It also has new elements such as lifejackets that kids can try on, books to read and a sensory corner for under 2’s. Dorothy the Dinosaur’s house. My daughters loved to play with the tea set. As usual, they spent a fair a bit of time making roses in the craft corner. Emma’s screen with her ballet dancing. The fruit salad corner and the live-camera screen corner where children can see their reflection. I always find it very entertaining to watch my girls meanwhile they have so much fun with the Wiggles Exhibition. 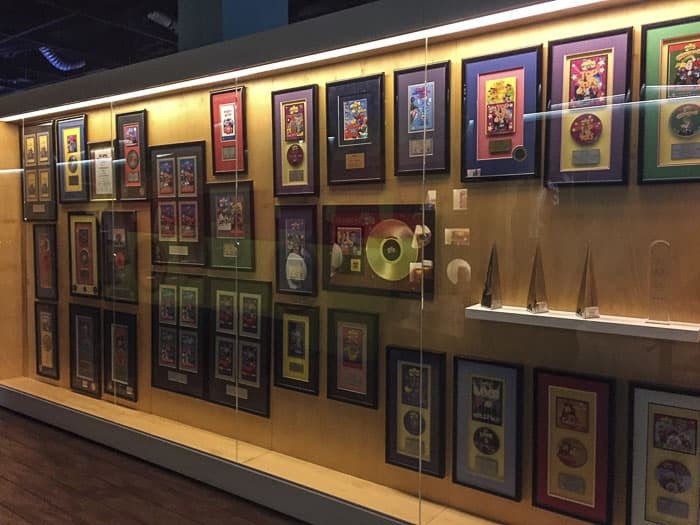 But in case you get bored, you can read the posts of the Wiggles career. What a journey! They have been entertaining Australian children for more than 20 years! 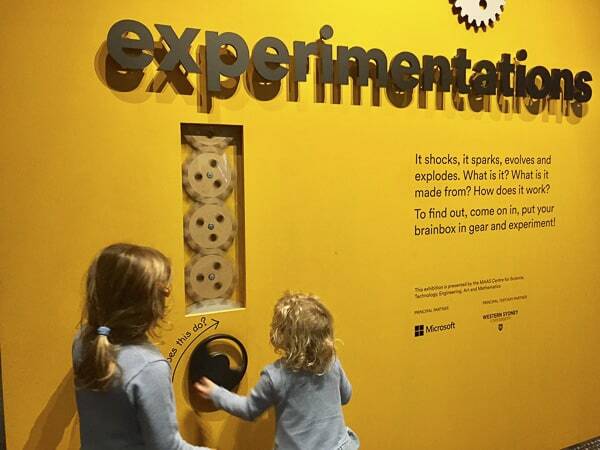 There’s fantastic hands-on fun in the Experimentations section. The kids become scientists, unravelling mysteries and learning as they go. Pram / wheelchair friendly: There are ramps and an elevator. Wheelchairs can be borrowed at no cost from the cloaking desk in the main entrance foyer. Cafe: There are two cafes. The MAAS Cafe on Level 3, next to the entrance and the Junction Cafe on Level 1, next to the playground. 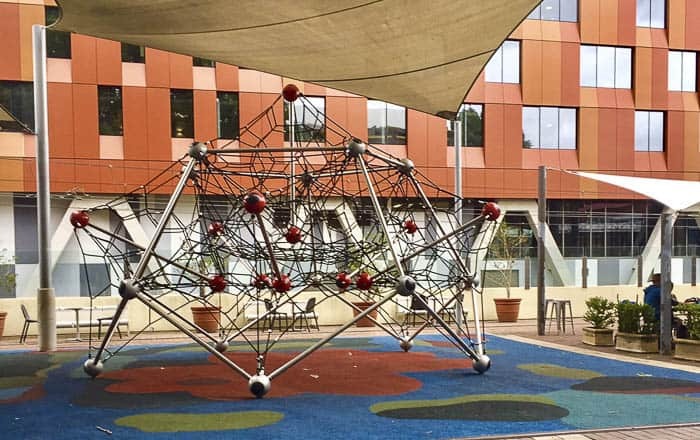 Playground: Yes, not fenced, but it is far away from the road in the courtyard (access on level 1). Powerhouse Opening hours: 10:00am – 5:00pm. Closed: Christmas Day. 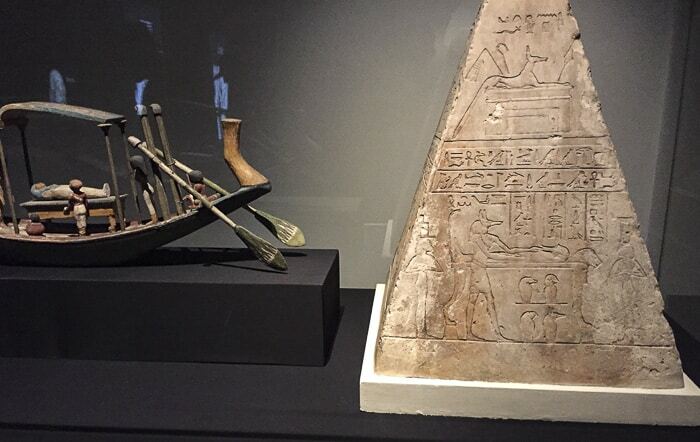 Note: Some exhibitions may be ticketed in addition to general admission. Parking: Metered street parking near the museum, located on Harris St, Macarthur St and nearby streets. Wilson Parking (adjacent to Novotel Sydney Central), 179 Thomas Street, Haymarket. $15 all day parking. Perfect choice if you plan to extent the day in Chinatown or Paddy’s Markets. Harbourside Car park, 100 Murray Street, Pyrmont. $14 all day parking. Good choice if you want to spend the rest of the day at Darling Harbour. Nearest stations: Central Station (Sydney Terminal), Broadway bus station (Railway Square), and Exhibition Centre Sydney Light Rail Station. Note: from Central Station, it is an easy and safe walk to the Powerhouse Museum via the Goods Line. Bus stop nearby: 501 stops directly outside the museum. 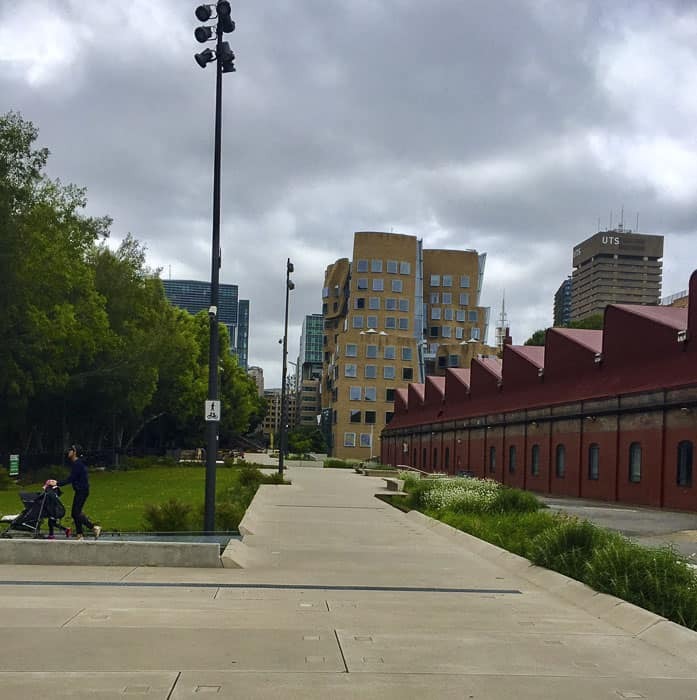 Take a stroll along The Goods Line, the pedestrian walkway that goes from the Ultimo Road railway bridge (Central Station) to the Museum’s entrance of Macarthur St, Ultimo. The Goods Line follows the rail line that ran from Dulwich Hill to Sydney Central. It used to be a busy freight system that transported goods like wool, meat and wheat. Sections of the old train track have been preserved as well as parts of its original infrastructure such as an early arched sandstone-block culvert or drain. 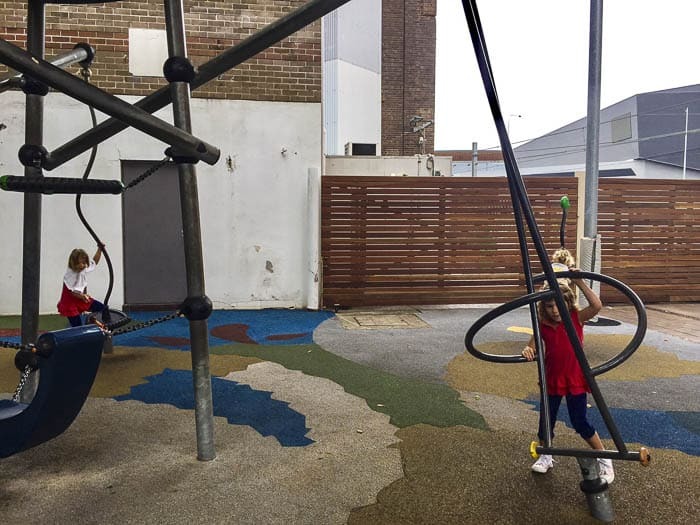 The Goods Line is an excellent recreational spot that combines heritage with modern urban equipment; there are plenty of benches, study pods, picnic tables, tennis tables and even a sandpit and water play area for the children. From the water play area you can contemplate the iconic Dr Chau Chak Wing Building, designed by the famous architect Frank Gehry. The public levels of the building are open from 8am-10pm weekdays and 8am-6pm weekends. There is access via Ultimo Road and Mary Ann Street in Ultimo. Visitors are welcome, but take in mind that classes may be in progress, as it is building from the UTS. 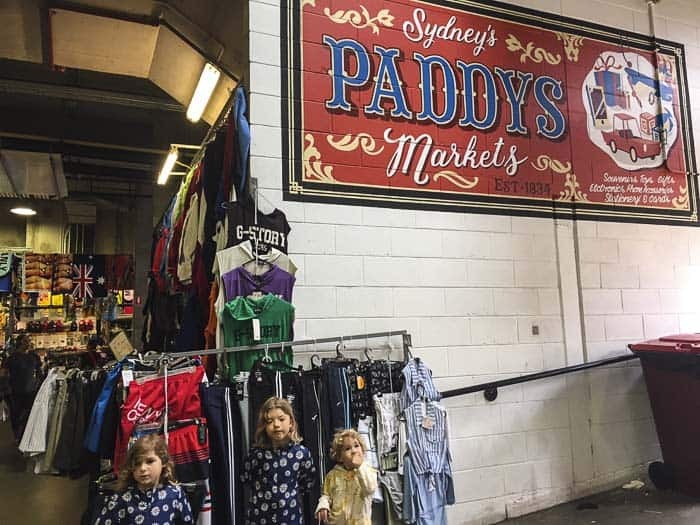 Do some shopping at Paddy’s Markets. You might find some good bargains such as children’s umbrellas, leather belts or beautiful headbands to name some examples. 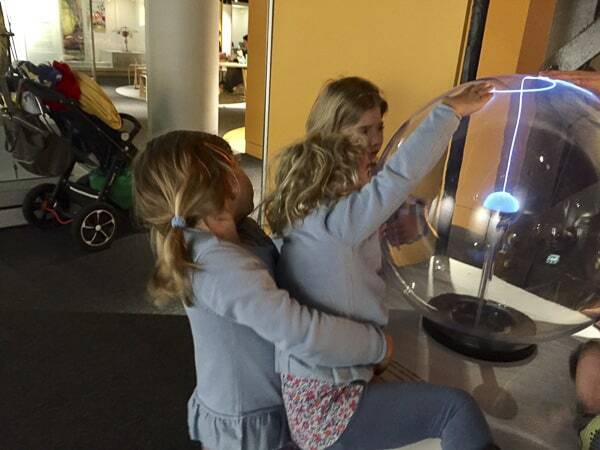 Mum’s report: Since we have been living here in Sydney, the Powerhouse Museum has been our “Sundays lifesaver”, if the weather is miserable. 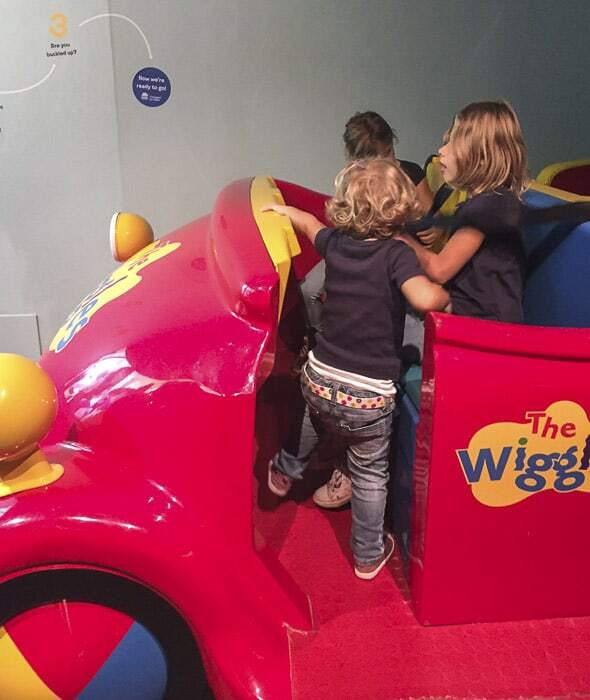 The Wiggles Exhibition is always a win-win for little children and parents. It has been revamped, so it is even better!! Besides of the Wiggles, the Powerhouse has lots to offer for older children, too, like several workshops from ages 7-11. 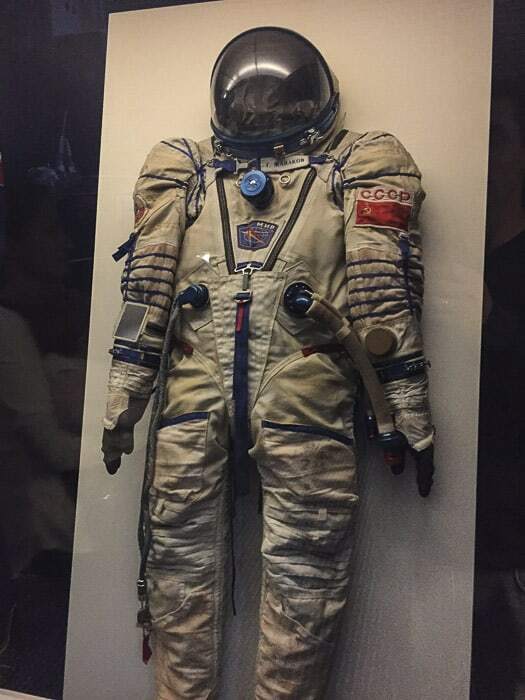 There are permanent exhibitions like “Experimentations” for the science lovers, or the always-entertaining area of trains, planes and my favourite: the Zero Gravity Space Lab. The Museums Discovery Centre is full of interesting elements!!! Although it is not as big as the Power House Museum, you can easily spend a morning in there. There are 6 different rooms / stores where you can find from trains to planes, to fire engines, to domestic appliances and toys. The store number 4 houses multiple objects that scientists used in the field and in the lab such as instruments for measuring. There is also equipment that Antarctic explorers used in the past. Besides the objects, there are animals, fossils and gemstones. 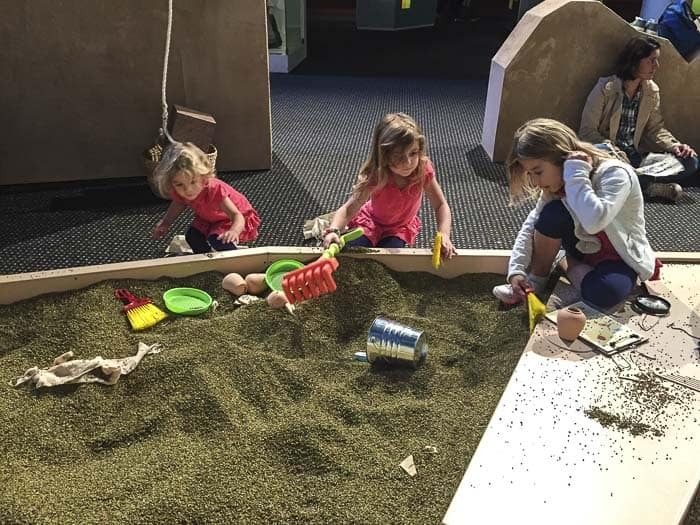 Children with a sense of curiosity will definitively enjoy this Museum! Adults, too! It is a like travelling back to the past or having a look at the old photos of our grandparents’ albums. During school holidays there are free activities for the children. My daughters had a great time and the staff that were running the workshops were lovely. 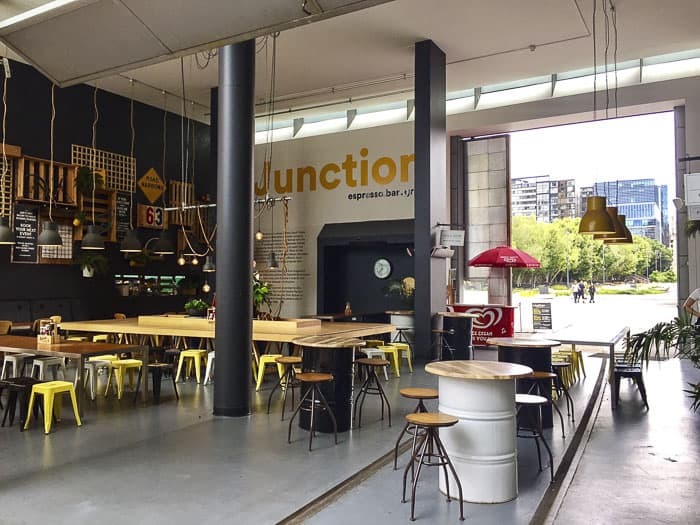 We are not members yet, but it is something that we should consider after having spent some great days in the Powerhouse Museum. On The Set Of Dance Academy! !